Through lectures, laboratory work, research, and seminars, students in Randolph College’s chemistry department achieve a basic knowledge and conceptual understanding of matter, its structure and properties, and the nature, energetics, and dynamics of its transformations. 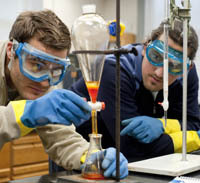 The department maintains small lecture and laboratory sections to ensure students have extensive access to faculty and the College’s exceptional facilities and instruments. Qualified majors have the opportunity to serve as lab assistants and tutors, and the faculty encourages and aids in the placement of students into summer research programs. All seniors complete a research project under the mentorship of a faculty member. 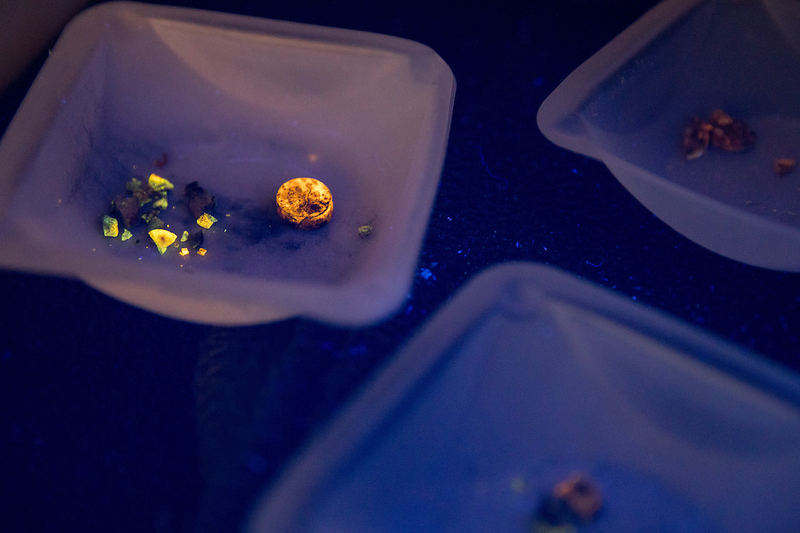 A 17th century alchemist discovered that phosphor could glow, and believed he had found the legendary Philosopher’s Stone. It was nearly 400 years later when scholars discovered its true properties. “I really enjoy finding weird little things you can do to trick the process and the simple solutions that really come out of nowhere."